When it comes to looking after a senior family member or loved one, most caregivers know that the more help they can get, the better. While good help can be hard to come by, the great news is that there are now new pieces of technology designed specifically to hep today’s seniors as they age in place in the comfort of their own home. As a senior caregiver, knowing about these pieces of technology and incorporating them as part of your care routine can be a major asset as you continue to look after your loved one and provide them with the support and assistance that they deserve. Here are just a few of the many new pieces of senior-friendly technology that every caregiver should have on their radar. Smartphones- Nearly 80 percent of senior Americans have cell phones, but according to a Pew Research study, only 30 percent of those seniors have smart phones. While some seniors may feel overwhelmed by the amount of features that come with smartphones, they can help your loved one with everything from checking the weather to video-chatting with their grandchildren. Plus, with a little help from their caregivers, many seniors are able to learn how to use these smartphones fairly quickly. Tablets and eReaders- Many seniors love reading everything from fiction books to newspapers, but as seniors start to age, reading small print can become more and more challenging. This is where tablets and eReaders come in. They can help seniors enlarge the print on their favorite reading materials so they don’t need assistance in reading their favorite items. Fitness Trackers- Staying fit and active is extremely important for all seniors, yet it can be difficult for older adults to make sure they are getting enough exercise on a daily basis. Fitness trackers can track how many steps seniors are getting, how many calories they are burning and they can even remind seniors to get up and start moving during the day so they can stay as healthy and as active as possible. RideShare Apps- These apps technically fall under smartphones, but they are extremely important for many seniors today. When older adults are unable to drive on their own, they often have to rely solely on family members and caregivers to get everywhere from their doctor’s appointments to the grocery stores. Uber, Lyft and even senior-specific regional apps have been helping seniors of all types get around faster than ever. Video Doorbells- For many seniors, getting up and answering the door isn’t only challenging, but it can be overwhelming if they don’t know who is visiting their home. 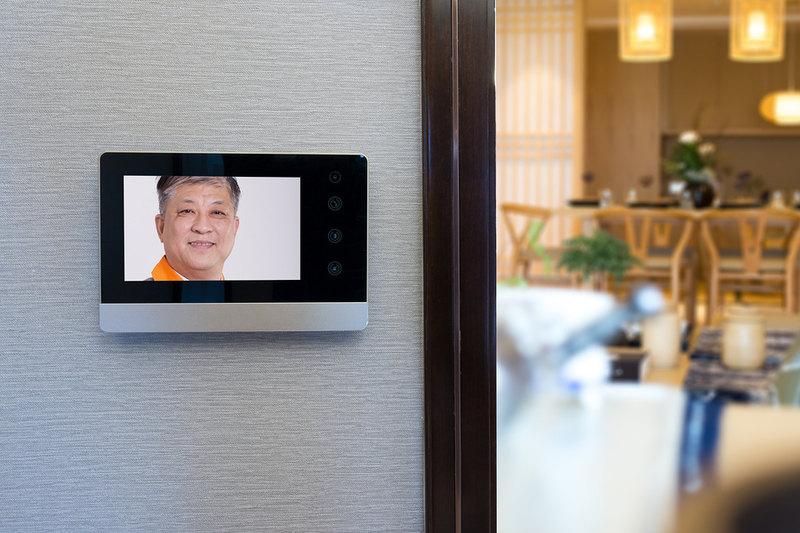 Video doorbells are new pieces of senior-friendly technology that allow seniors to determine who is at their door so they can speak with their visitor or choose not to let them in without having to get up. Robotic Vacuums- If your senior loved one lives mostly on their own, attempting to keep up with their daily cleaning can be one of the biggest challenges that they face. The good news is, with automated vacuums, many seniors are able to keep their home clean without risking getting hurt while pushing around a large vacuum.